Santa Fe, once the seat of power for the Spanish Empire north of the Rio Grande, is the oldest capital city in North America and the oldest European community west of the Mississippi. 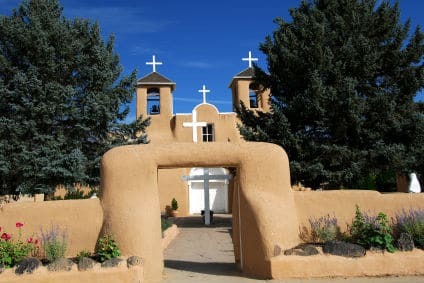 Accordingly, Santa Fe is also the location of the oldest building in America, as well as the nation’s oldest community celebration, the Santa Fe Fiesta. Santa Fe’s history has been a rich and deeply rooted part of its identity over the 400 years of existence, all of which is very evident today in the many historic attractions and cultural traditions throughout the city. 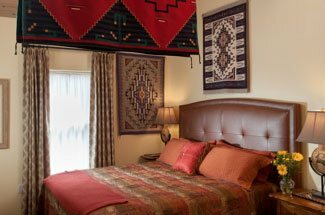 Book your room at our luxury Bed and Breakfast today, and you’ll be steps away from the best of Santa Fe’s historic attractions. The Legendary influence of Santa Fe’s history on the city today is evident in the unique blend of Anglo, Spanish and Native cultures. Although Santa Fe has a long and varied history of conquest and frontier violence, it has also long been considered the centure of culture and civilization in the Southwest. Located just steps away from our centrally located Bed and Breakfast, you’ll find the Santa Fe Plaza, which features the Palace of the Governors, known as America’s oldest building. Also located in the Plaza, you’ll find the New Mexico History Museum, which is a great place to begin your journey into the history of Santa Fe. Other wonderful historical museums in Santa Fe include the Wheelwright Musuem, the Spanish Colonial Museum, and the living history museum, El Rancho de las Golondrinas. If you want to get out and see Santa Fe’s historic attractions firsthand, we recommend getting oriented first on one of Santa Fe’s historic walking tours. These tours are led by professional guides, art historians, museum docents, as well as seasoned actors recreating the past. You’ll experience the very best of the city’s historic attractions, before branching out on your own for a more in depth look into Santa Fe’s history. 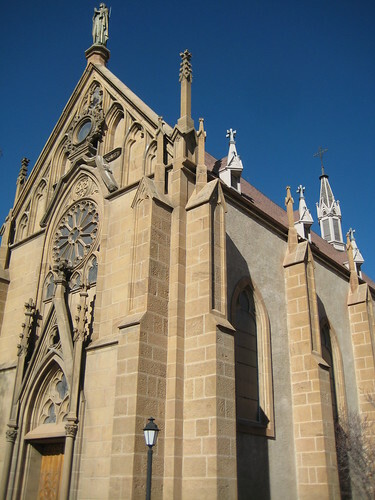 The must see historic attractions in Santa Fe include the stunning Loretto Chapel, featuring the miraculous staircase, Santa Fe’s oldest church the San Miguel Chapel, and the Cathedral Basilica of St. Francis of Assisi. In addition to these beautiful historic attractions in the city, visitors to Santa Fe should also visit any of the Eight Northern Indian Pueblos near Santa Fe, or meander among Native American ruins filled with petroglyphs at Petroglyph National Monument. 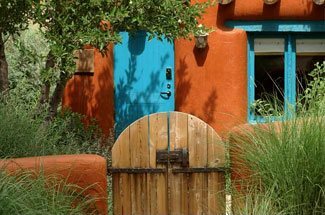 Learn more about the fascinating history of Santa Fe when you stay with us this spring, at our luxury Bed and Breakfast.